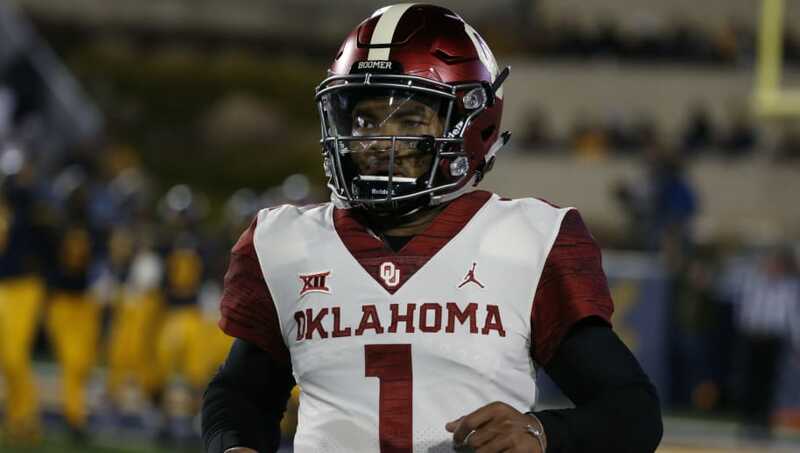 Kyler Murray's relationship with the possibility of playing pro football is starting to look like a common sitcom plot device. The past few weeks since the Sooners captured the Big 12 Title has been dominated by the will they or won't they narrative between Murray and the NFL, and the Oklahoma Sooners have just added to the drama by submitting their star quarterback's name for a draft grade. Now, applying for a draft grade is by no means a commitment to declaring for the NFL Draft, but the result of the submission could end up swaying Murray's decision in a big way. The way the draft grades work is that schools send names of underclassmen to the College Advisory Committee, who evaluate each player. After the reviews, each player is told that they are either a potential first-round pick, a potential second-round pick or are told that they would be best served to go back to school. If Murray is told that he is likely to be selected in the first round, like many think he will, it could make his decision of whether to attend the Oakland A's Spring Training or to declare for the NFL Draft a lot more difficult. Of course, there's still the whole having to pay back the majority his $4.66 million signing bonus to the A's situation that might dissuade him from forgoing his commitment to baseball. He's being pulled strongly in both directions, but my guess is that Murray will do everything he can to go the Bo Jackson and Deion Sanders route, and attempt to play in both the MLB and NFL. Just a week ago, he expressed an interest in doing just that, and if the A's were willing to risk him playing football once, maybe they'll do it again. Murray is clearly a special talent, and it would be a shame if he had to give up one sport just to play the other.